The urge was too strong…..back to Huxtaburger for lunch. How could I not? What a burger!!! The perfect one hour lunch. Last night our Italian tasting group (Bibemus) got together at Bottega Restaurant for an ode to Quinteralli and also give thanks to the many other great producers from Veneto. And the highlight? Well pretty easy answer. 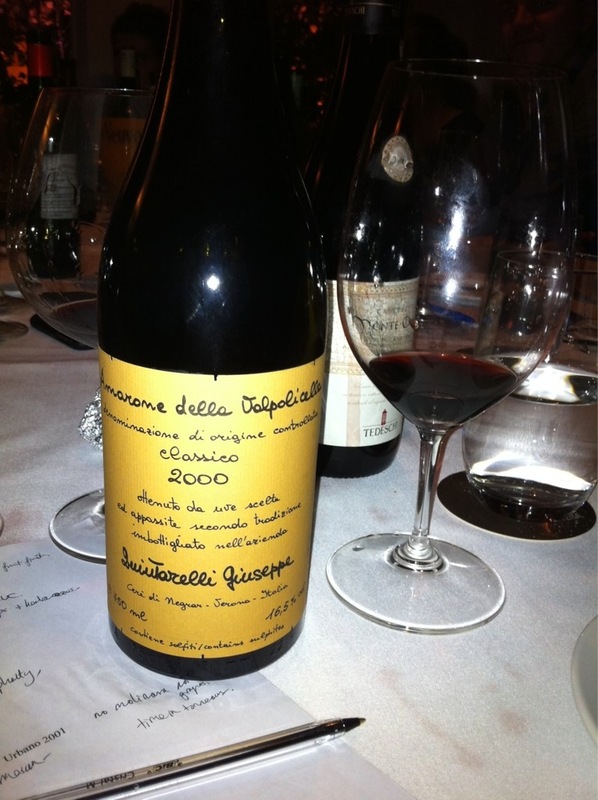 The Giuseppe Quintarelli Amarone della Valpolicella 2000. All the wines looked fantastic last night. The bracket of whites showed each wines distinct personality and illustrated the quality of each vineyard site. For me the Pieropan La Rocca Soave Classico 2009 was the best wine of the bracket. Whilst it is a worked style and you have to be in the mood to enjoy it, last night showed why for me it was the best white. It was beautifully textured, powerful, had the perfect amount of acidity and finished with layers upon layers of beautiful fruit. You cannot really ask for much more in a white. Moving onto the reds, all the wines showed well except for the Tedeschi Amarone della Valpolicella Capitel Monte Olmi 2001 which was corked. It must be noted that whilst I enjoyed the sheer quality of the Romano Dal Forno Valpolicella Superiore del vigneto Monte Lodoletta 2001. It is not a style I like. 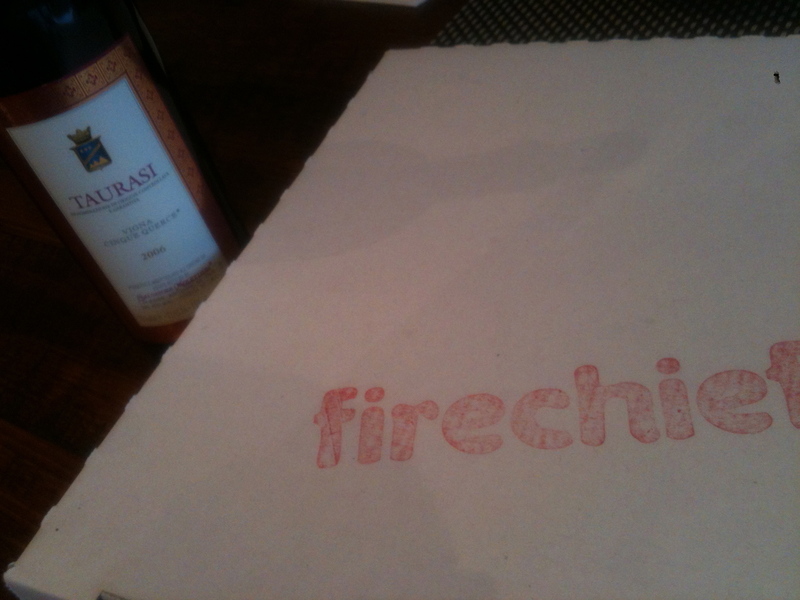 I found it forward, modern, sexed up and a caricature of Valpolicella. The Giuseppe Quintarelli Valpolicella Classico Superiore 2001 on the other hand was as perfect as one could ever ask for in Valpolicella. Truly amazing with seamless fruit and loads of complexity. We finished with the Giuseppe Quintarelli Amarone della Valpolicella 2000 that was textbook Amarone and again close to the perfect wine. Drinking the wines of Veneto and saluting the great man Giuseppe Quintarelli capped off the best Bibemus dinner to date. I can’t think of anything better than drinking great wines with great friends and saluting one of Italy’s greatest winemakers. 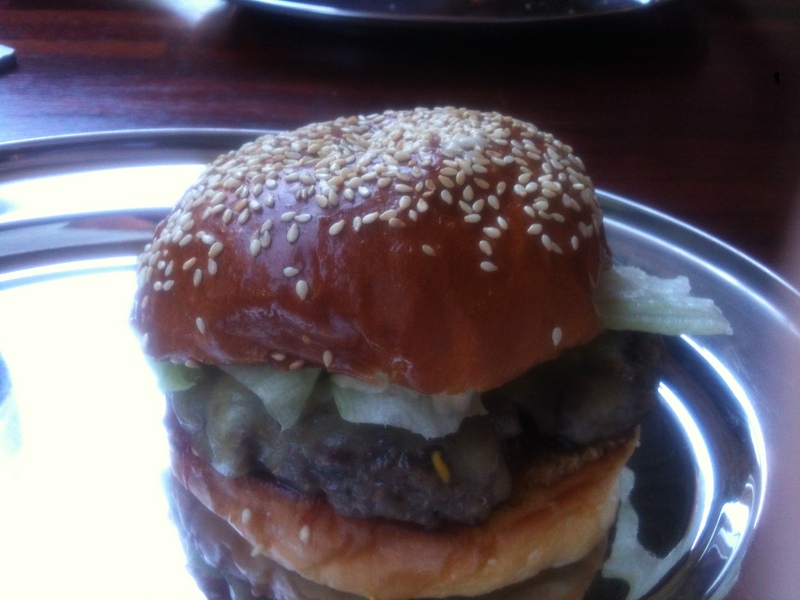 Huxtaburger = Melbourne’s best burger?…. 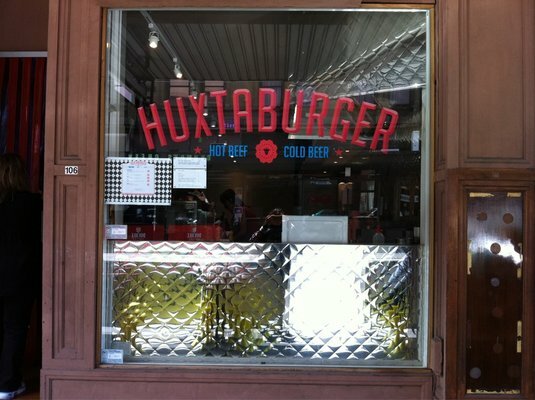 I have been hearing many great things about the burgers at Huxtaburger http://www.huxtaburger.com.au and today I finally had the time to go there and try the burgers. 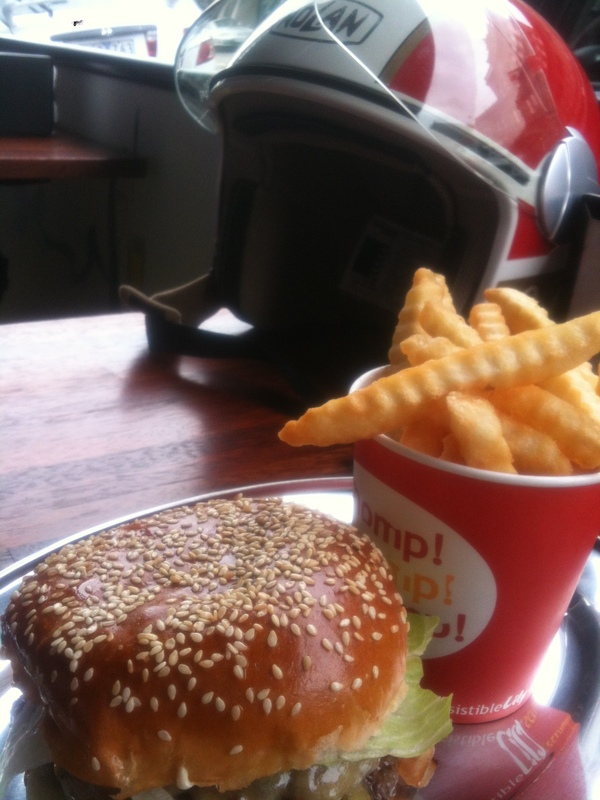 I rode my vespa into Collingwood, parked at the front and ate for me, the best burger in Melbourne. The bun was soft and moist and the meat tender and delicious. The burger was not too big, nor too small, rather just perfect. This place was pumping and whilst we had to wait a little longer than most burger joints for our meals, they were definitely worth the wait. Will be making Huxtaburger a regular pit stop in the coming months. May I have your attention please? 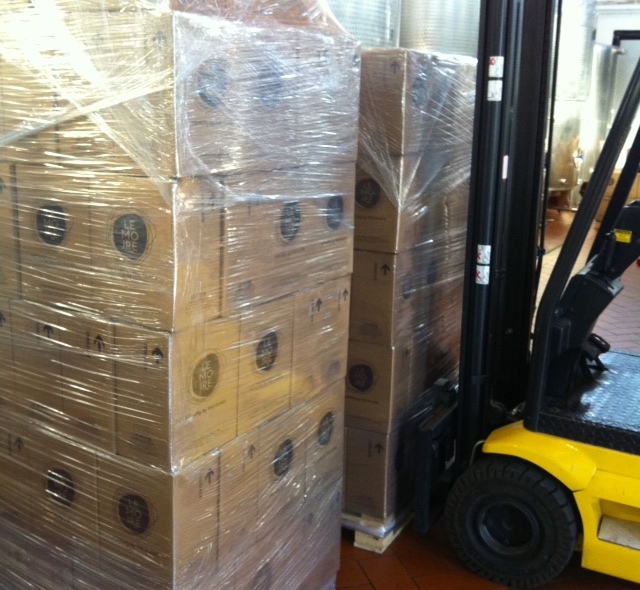 Would the real Ezio Rivella please stand up?…..
Will the real Ezio Rivella please stand up? I repeat, will the real Ezio Rivella please stand up? I am not sure in today’s world if there is a man that polarizes the Italian wine community more than Ezio Rivella. There has been two great blog posts by Franco Ziliani at Vino al Vino http://vinoalvino.org/blog/2012/02/rivella-a-barolo-sceglie-la-strada-dell%E2%80%99insulto-tutti-d%E2%80%99accordo-i-produttori-di-montalcino.html and also Jeremy Parzen at Do Bianchi http://dobianchi.com/2012/02/15/ezio-rivella-tradition-is-a-ball-and-chain/ which will give you all the background information on this uproar. This is my view on the Ezio Rivella. For me the big question is do we really know Ezio Rivella? Who is the real Ezio Rivella? 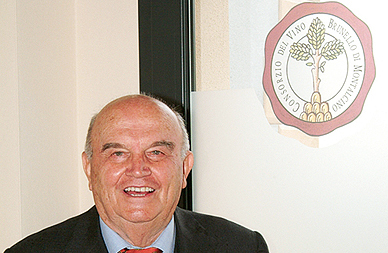 Is he the one who represents 250 wineries as President of the Consorzio del Vino Brunello di Montalcino? Or as a free man, without any tie to any organisation or company? 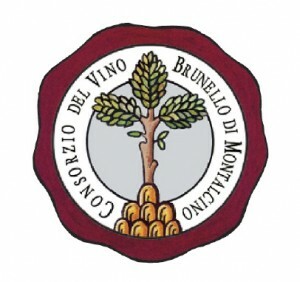 The Consorzio del Vino Brunello di Montalcino was founded in 1967 after the recognition of the D.O.C., as a free association of producers with the intention of safeguarding a wine whose prestige was asserting itself more and more. It has during the years embodied an instrument of scrupulous and responsible self-discipline, bringing together old and new, small and large estates, in such a way that the wise consolidated customs became a common strategy for qualitative success. 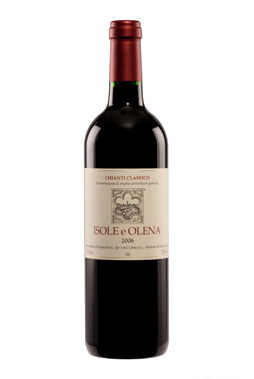 The Consorzio safeguards and promotes all four Montalcino denomination wines: Brunello di Montalcino, Rosso di Montalcino, Moscadello di Montalcino andSant’Antimo Doc; the remaining part is planted with Igt. Now tell me, when Ezio Rivella tells producers from Barolo and Barbaresco who attended Strada del Barolo that “Tradition is a ball and chain. At best, it serves as historical anchor.” Is he talking on behalf of the President of Consorzio del Vino Brunello di Montalcino? Or as a free man, without any tie to any organisation or company? For me, if you hold such a title THEN every comment you make must be on behalf on the Consorzio. It is like Julia Gillard, the Prime Minister of Australia going to Italy and stating to the Italians that ‘Australia should not recognize the rights of women’ then coming back to Australia and stating the opposite. As president you represent the whole Consorzio. From large producers to small. To traditional producers to ultra modern. You must respect all positions and work on outcomes for the benefit of all. Not a small minority. If I was a traditional Brunello producer, I would withdraw my membership and support of the Consorzio. Does Ezio Rivella work for all of the Consorzio or just the select few that benefits from his outrageous statements? Whichever, these sort of comments tarnishes the image and reputation of Italian wine and no good can be made of it.